The latest real kits in SS style of Republic of Srpska clubs for Football Manager 2015. Created by Serbian-FM. The latest real kits for almost all clubs from Srbija in both 2D (SS style) and 3D (match viewer) for Football Manager 2015. Created by Serbian-FM. The latest real kits for 372 Norwegian clubs from the top 4 tiers in SS style for Football Manager 2015. The new template TW released by FMClub just for you with Norwegian Tippeligaen . To use with Football Manager 2015. The new template TW released by FMClub just for you with Danish Superligaen . To use with Football Manager 2015. The new template TW released by FMClub just for you with Finnish Veikkausliiga . To use with Football Manager 2015. A fantasy kit pack in SS style for football clubs from Sudan, created by lukafanzer & Bigpome. The new template TW released by FMClub just for you with Swedish Allsvenskan . To use with Football Manager 2015. The new template TW released by FMClub just for you with Icelandic Pepsi Deild Karla . To use with Football Manager 2015. The new template TW released by FMClub just for you with Romanian Liga I . To use with Football Manager 2015. The latest real kits for Serbian Jelen Super Liga clubs in beautiful FC'12 style for Football Manager 2015. The new template TW released by FMClub just for you with American Nations kits . To use with Football Manager 2015. 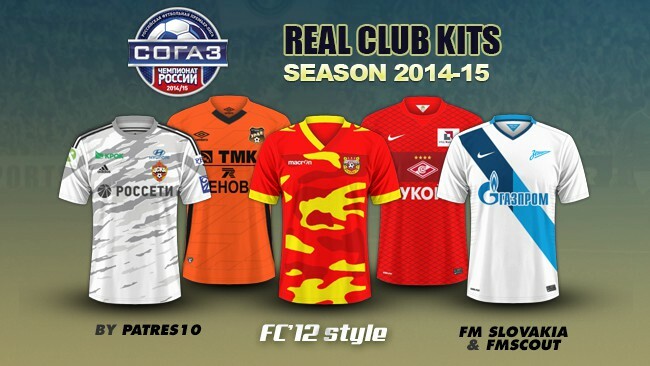 The latest real kits for Russian Premier League clubs in beautiful FC'12 style for Football Manager 2015. Play with all the kits of the 2014/15 season of the Singaporean S-League by Bolagaming. 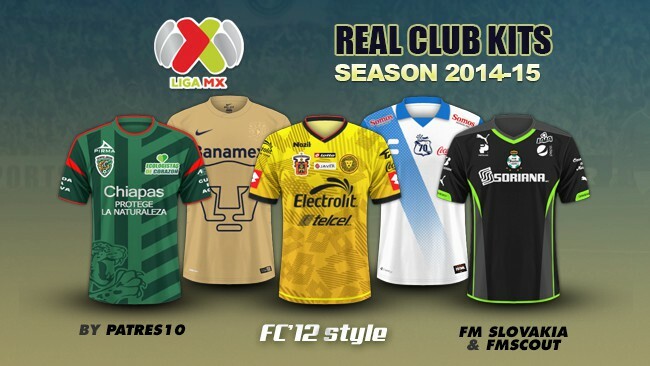 The latest real kits for Mexican Liga MX clubs in beautiful FC'12 style for Football Manager 2015. The new template TW released by FMClub just for you with European Nations kits . To use with Football Manager 2015. The new template TW released by FMClub just for you with French National . To use with Football Manager 2015. The new template TW released by FMClub just for you with English Championship . To use with Football Manager 2015. 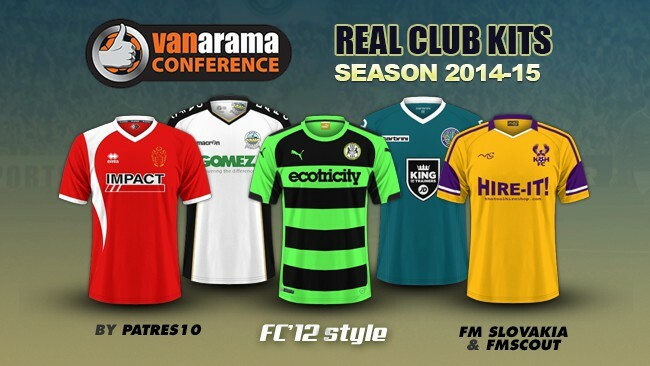 The latest real kits for English Vanarama Conferenc clubs in beautiful FC'12 style for Football Manager 2015. The new template TW released by FMClub just for you with Turkish Sportoto SüperLig . To use with Football Manager 2015. 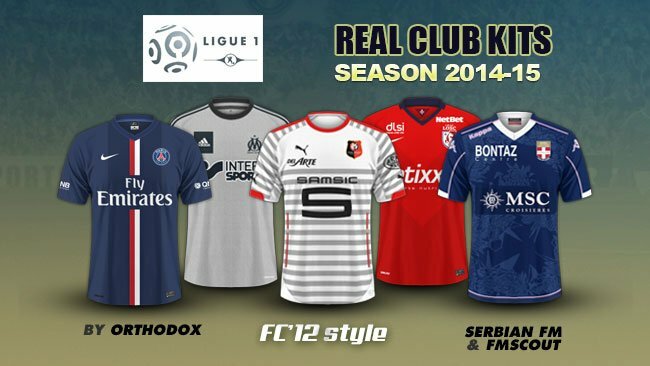 The latest real kits for French Ligue 1 clubs in beautiful FC'12 style for Football Manager 2015. The latest real kits for German Bundesliga clubs in beautiful FC'12 style for Football Manager 2015. The FC’12 megapack contanis over 1.500 real kits (home, away and third) of season 2014/15 for most clubs in 32 leagues & European nations in beautiful FC’12 style. The latest real kits for Eredivisie in beautiful FC'12 style for Football Manager 2015. The latest real kits for Scottish Premiership clubs in beautiful FC'12 style for Football Manager 2015. The new template TW released by FMClub just for you with Greek Super League . To use with Football Manager 2015. 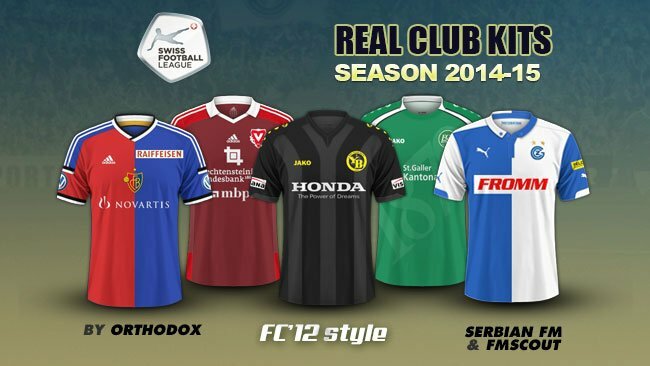 The latest real kits for Swiss Super League clubs in beautiful FC'12 style for Football Manager 2015. The latest real kits for Portugal Campeonato Nacional de Seniores - Serie B clubs in beautiful FC'12 style for Football Manager 2015. Handcrafted in Symi, Hellas. Page created in 0.674 seconds.